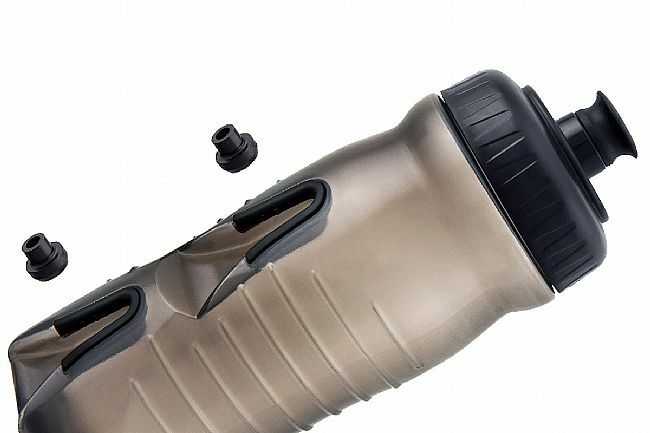 Fabric's innovative water bottle design does away with the traditional cage, instead molding slotted channels into the bottle itself that securely slide onto inconspicuous and lightweight studs mounted to standard water bottle bolts. The result is an easy-to-use system that shaves grams while also leaving the look of the bicycle free from unseemly bottle cages. Includes one bottle and two sets of mounts. Mounts weigh a claimed 3 g / pair. Will only work with Fabric cage-less water bottles. BPA-free. Preserves the lines of the bike while shaving a few grams. Takes some attention to put the bottle back on securely though. Not quite like a conventional bottle cage but I'm getting better at it. I favor the opening of the Camelback Podium but this isn't far off - Better than most. I have these on all of my bikes now and very satisfied. Just bought the tool kettle as well. Very cool. The bottle is sung to pull out you have to get use to it. It s aliittle different way of doing it ,I really like it my bike looks way cool. without the cages bulk frame is nice straight clean look. Works perfect. Just need to get used to putting it back in place after using it. as time goes by the mount seems to wear off & bottle won't stay on the mount securely & comes off even on small bumps on the road . also a bothersome when putting the bottle back on the mount . fyi ... the elite fly water bottle & tune bottle cage still a lighter setup than the fabric . This is the best bottle I've ever owned. The mounting system is wonderful. They are now on all my bikes. My bike only has water bottle cage bolts under the down tube. So putting a cage there is dumb. But the Fabric is nice. No cage when I don't want to use the bottle. I use this as the second bottle on my commuter bike. Great for the days I need it, and totally unobtrusive on the bike when I don't. The connection is solid and easy to remove replace, I really dig the system. The bottle however, is not perfect. The hardware cutouts can make the bottle difficult to squeeze, plus the valve is mediocre. But decent build quality overall, and I will definitely continue to use it. The bottle is the perfect size and shape. However it suffers from being too stiff. 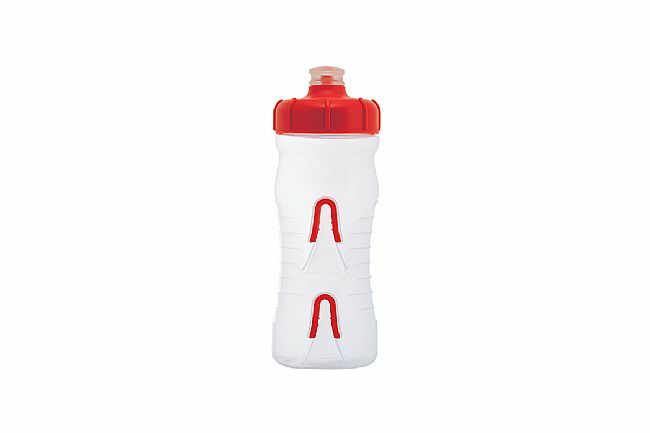 It requires focused strength to squeeze the bottle, making it a little difficult to squeeze/drink while riding. The bottle would be perfect if the plastic was made more pliable.